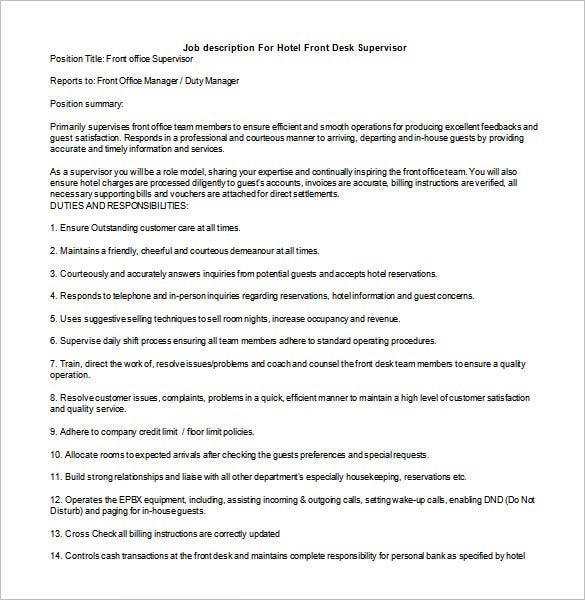 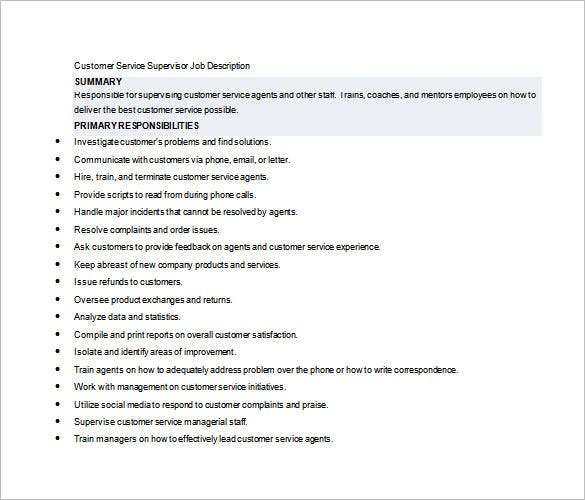 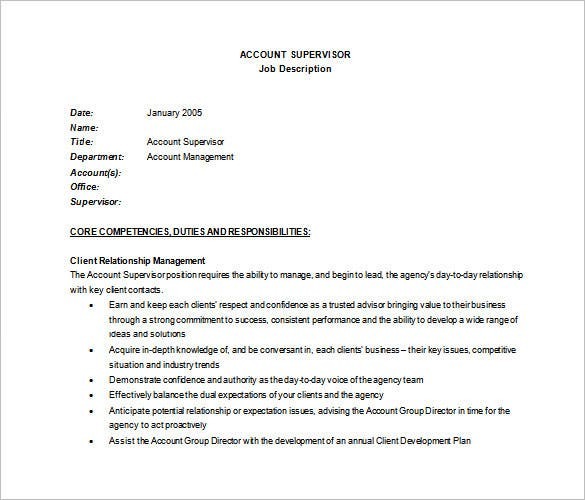 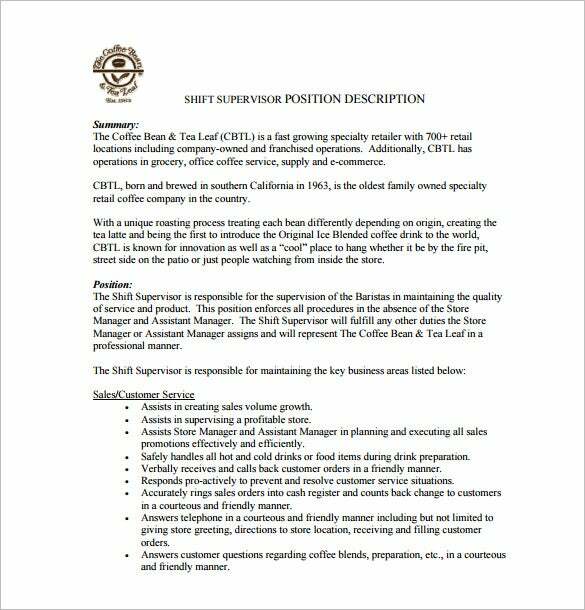 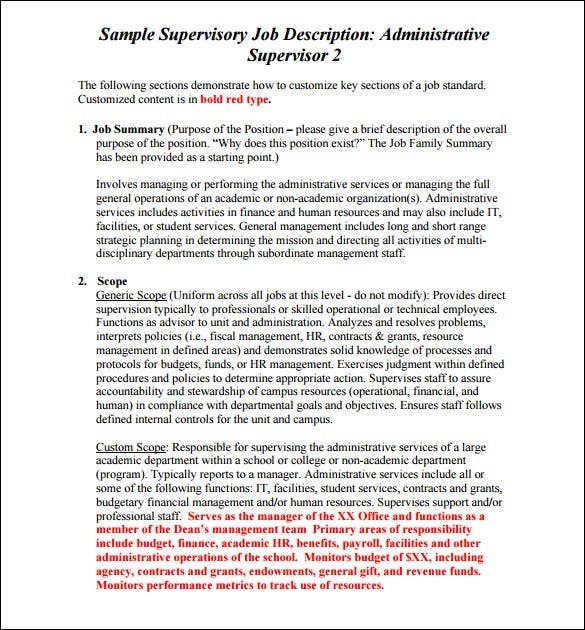 10+ Supervisor Job Description Templates – Free Sample, Example Format Download! 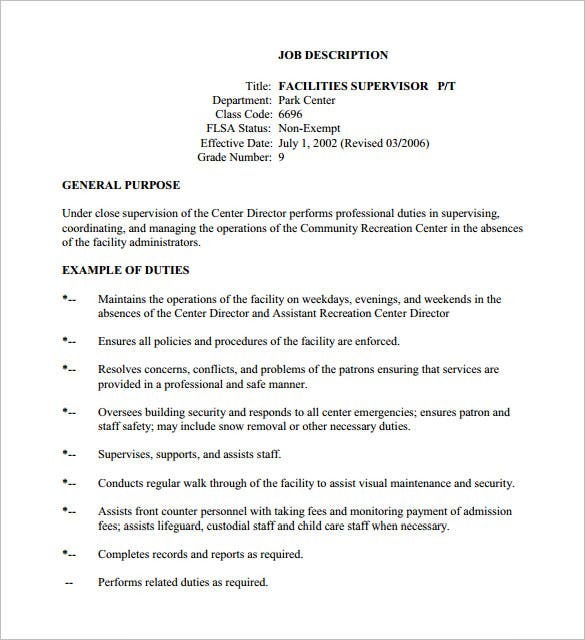 A supervisor, as the name itself says, is a person who supervises a job or oversees it and has the power to authorize, give instructions and assign jobs to the employees under his jurisdiction. 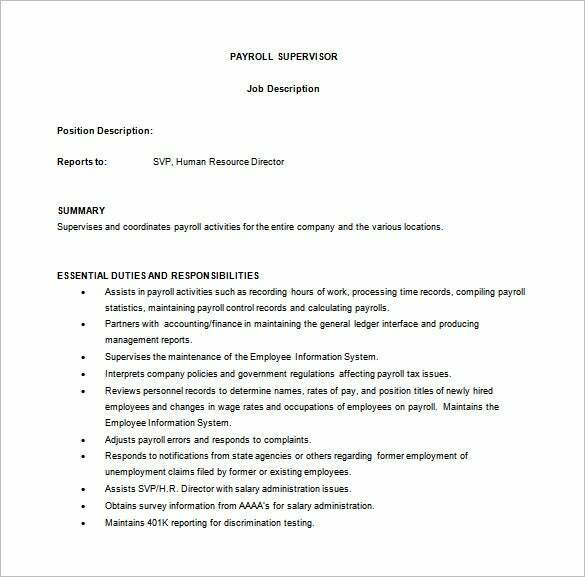 He or she has to organize a work group for the job to move smoothly and is therefore responsible for whatever happens to the job given out and the employees doing it. 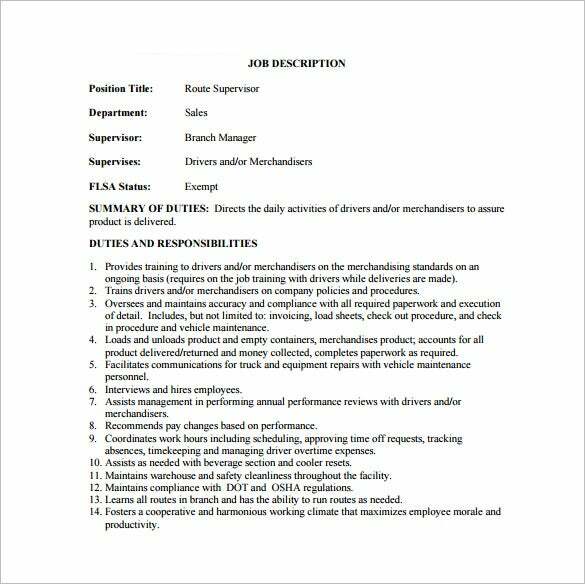 You can also see Business Development Job Description Templates. 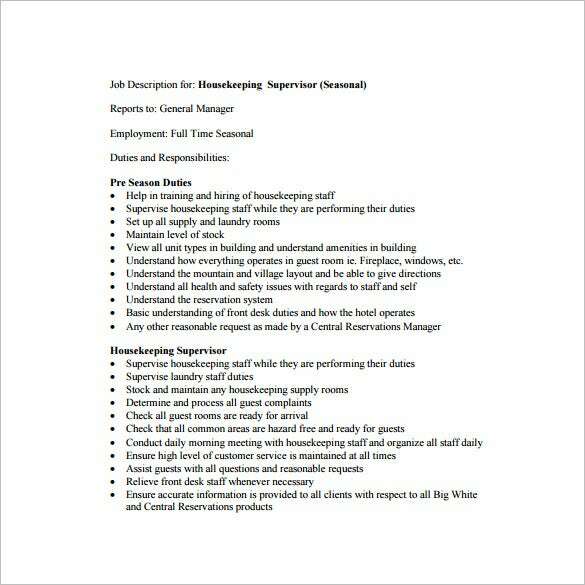 When supervisors are hired in companies, they are taken through some training for them to understand their job. 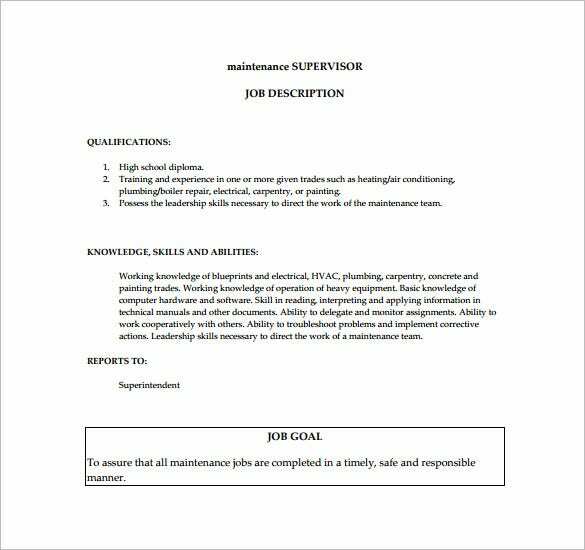 A supervisor must ensure there is safety to the employees’ surroundings, so that the work assigned to them run perfectly is all in this job description.